Immaculate Ranch on desirable Harriet Ave! Living room/dining room entry with stunning HW floors & wood burning fireplace welcomes your guests. Inviting kitchen with recessed lighting, appliances, peninsula and modern, open floor plan. Spacious family room with new floor to ceiling windows, vaulted wood ceiling and charming play loft! Newer full bath with custom antique cupboard sink, heated towel racks, glass door shower, separate tub & 1st floor laundry w/pocket door. Amazing 20x22 vaulted ceiling sunroom with custom cupboard overlooks the serene yard, storage shed & huge entertaining deck. Located on a corner lot for added privacy w/2 driveways for extra off street parking. 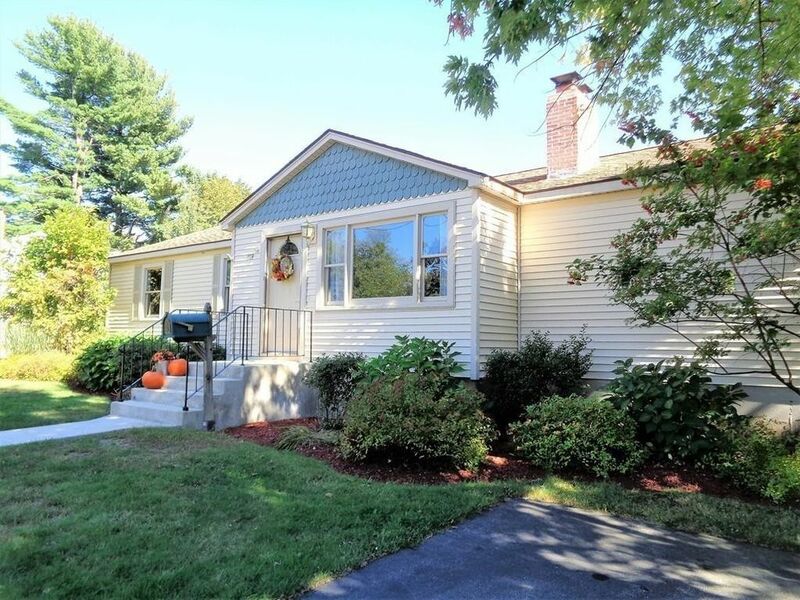 Updates include freshly painted interior, refinished HW floors, roof, siding, windows, front steps, railing, driveway retention wall, HW heater, oil tank, 200 amp service, CENTRAL AIR, insulation, basement FHA system, boiler, recessed lighting, new family room carpet & interior doors. Great commuter location!